. 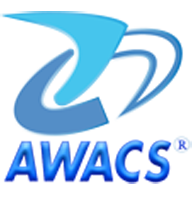 :: AWACS SECURITY TECH ::. Supervised optical smoke detector model BRK2002JE* with built-in transmitting circuit compatible with the AWACS system, for home use. The alarm trips an acoustic signal and a radio transmission. It transmits a supervision signal. Radio range: 300 m in open field.